Dr. Fei is a Full Professor and Cecil H. and Ida Green Chair in Systems Biology Science in the Department of Bioengineering at the Erik Jonsson School of Engineering and Computer Science of the University of Texas (UT) at Dallas. Dr. Fei is a national leader in quantitative imaging and image-guided interventions. He serves as Conference Chair for the International Conference of SPIE Medical Imaging – Image-Guided Procedures, Robotics Interventions, and Modeling from 2017-2020. The SPIE Medical Imaging Conference is the internationally recognized premier forum for reporting state-of-the-art research and development in medical imaging. Dr. Fei serves as the Chair for the National Institute of Health (NIH) Study Section ZRG1 SBIB-J (56) on Imaging and Image-guided Interventions and also co-Chair for multiple NIH and Department of Defense (DOD) Study Section Panels. He served as an Associate Editor for Medical Physics, an Editorial Board Member for five journals in the field of biomedical imaging, and a reviewer for more than 20 international journals in medical imaging. Dr. Fei has presented internationally and is widely published in the field of medical imaging. 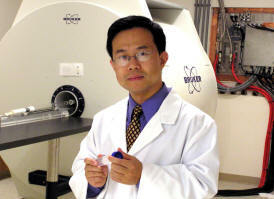 Dr. Fei is a leader of biomedical imaging research at the University level. He is Chair of the Planning Committee for the Integrative Cancer Imaging Research Program (iCIRP) at Emory University, which is a multidisciplinary, university-wide initiative for cutting-edge research on quantitative cancer imaging. He serves as multiple committees at the university, school, and department levels. He organized the Atlanta Clinical Translational Science Institute (ACTSI) Molecular and Translational Imaging Workshop. Dr. Fei’s NIH-supported research has emphasized applying multimodality imaging (PET/CT, MRI, ultrasound, and optical imaging) to the detection, diagnosis, and therapy of various diseases including cancers and heart diseases. Dr. Fei’s current research projects include multimodality image (PET/MRI/ultrasound) guided biopsy, advanced computer algorithms for medical processing and analysis, hyperspectral imaging for early detection of cancers and image-guided surgery, development of software tools for medical applications, and image-guided focal therapy. In his laboratory, Dr. Fei enjoys mentoring undergraduate and graduate students, post-doctoral fellows, and residents when they undertake research projects.